Saturday, May 3, Moe & Johnny’s Tap Takeover, 6-10pm! Join us in SoBro to enjoy the Wit or Witout You, Pink Ribbon & more! Wednesday, May 7, 5:30pm – Tapping the Triton Brewing/ Flat 12 collaboration beer! This Roggen-style beer was produced at Flat 12 with our Brewers helping. Scratchtruck will be vending! Thursday, May 8, Fat Dan’s Deli (5410 N. College) Tap Takeover! Join us for Pin of Grapefruit Zest Railsplitter, Three Tine Tripel, Railsplitter IPA and Pink Ribbon Saison and Dan’s amazing Chicago-style fare! Monday, May 12- Sunday, May 18 – American Craft Beer Week is an exciting opportunity for craft brewers to commemorate their art and tradition with enthusiasts across the country. Join us as we celebrate all over Central Indiana! Watch for more details! As many of you have probably noticed, we have had a few beers named after one of my favorite action hero's: Arnold Schwarzenegger. What started as a love for a body builder, turned actor, turned Governor, has spawned into a new event night for the RAM. Please join us for the debut of "Brew and View"
Starting at 9:00PM on Monday 5/5, come enjoy a pint of "Ahhhnold SCHWARZ-enegger" and "Get To Da Hoppa!!!" while watching the classic movie " The Predator" starring the man himself, Arnold Schwarzenegger. Our summer special release Vacation Kölsch returns this week. Look for it on draft across Indiana. Unique, refreshing, and far from ordinary, Tin Man’s Apricot Sour is a blend of traditionally soured ale and apricot juice. Pouring a straw-pale color, this beer’s aroma has hints of lactic acid bite dominated by the smell of fresh apricot. The tartness from the sour ale is balanced by the distinct taste and sweetness of apricot, creating a flavor reminiscent of sour candy and fresh fruit. Exceptionally refined and highly drinkable, Apricot Sour is a delicious example of what craft beer can be. Remember the collaboration beer we did with Great Fermentations last year? If not no worries. We are bringing it back and tapping it this Thursday (5/1) for this week’s Beer Thirty. At only 3.4% ABV and 17 IBU’s, this cold-conditioned ale puts a light hop on to balance the malt. Add in a nice, crisp finish and you’ve got a sessionable beer perfect to celebrate Spring. Did you also know you can also try making it at home? Yep, the kit is available here, via Great Fermentations. Tomorrow is May 1st which means it is finally Race Month here in Indy! To help celebrate and kick off this unofficial holiday in Indy, we are launching Hinchtown Hammer Down at Lino’s in Speedway this Friday (5/2) at 5pm. And what better way to launch Hinchtown than with the Mayor of Hinchtown himself. Want to come join us for pints of Hinchtown with Hinchcliffe? Details here. Sí, we celebrate it! Who doesn’t love a great Cinco de Mayo party. Plus, we’ll take any excuse we can get to tap our Taco Beer one more time. Mmm Tacos! Anyways, join us this Sunday (5/4) for a Cinco de Mayo fun-filled day. While we won’t have margaritas per say, we will have a version of it with one of the six specialty beers we are tapping that day. Want to know what all we’re tapping? Click here to see. · This Friday marks another First Friday at Tomlinson Tap Room. The pin this month is a tasty version of our Massive Retaliation. Check out the event and beer details here. · The 500 Festival Mini Marathon is this Saturday folks. After the race is over come meet us in the Finisher’s Tent and reward yourself with some tasty BlueMile Extra Pale Ale. For more details click here. · Race City Rebels season opener is this weekend. Join us at the Forum in Fishers this Saturday as we cheer them on. More details on the bout here. The brewery will be open for samples and carry out sales from 1-5 pm on Saturday and Sunday, and until 6 pm during the week. Currently on tap at the brewery: Lost River Blonde, Monon Wheat, Half Court IPA, Empire Imperial Stout, Rye on the Scarecrow Double Rye IPA, General Brown's Sour Brown Ale, Pentagon Porter, and Bank Robber Belgian Brown Ale. 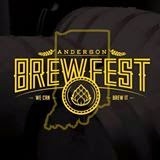 Come join us at the Great Fermentations Avon location on Saturday, 5/3, for Big Brew Day, where Cutters Head Brewer Dustin Brown will talk about the differences between homebrewing and brewing on a professional level from 1:30-2:15 pm. The lottery, at www.uplandsours.eventbrite.com, will open at noon EDT on Tuesday April 29th and close at noon May 7th. 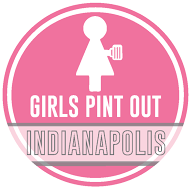 Either the Brew Pub in Bloomington or the Indianapolis Tasting Room in Broad Ripple must be specified as the preferred pick-up location at the time of entry, and pickup locations cannot be changed after a reservation request has been made. Lottery winners will be randomly drawn and notified via email on May 9th, and can purchase the sour ale(s) they selected at their preferred pickup location from May 14th through May 28th. 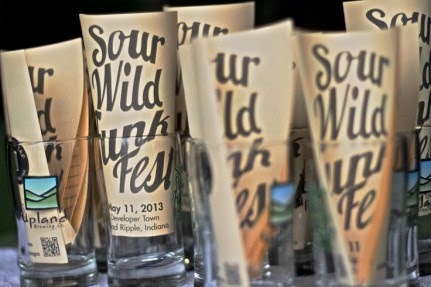 People who wish to attend Sour Fest May 17th and pick up their bottle(s) in one trip should choose Indianapolis as their pickup location and plan to pick up at the Indianapolis Tasting Room. People who wish to take a sour brewery tour, offered May 24th at 3 and 4pm, and May 25th at 3, 4, 5, and 6pm, should choose Bloomington as their pickup location. Reservations will be required for tours and can be made by emailing sours@uplandbeer.com. Bonfire of the Valkyries … a satisfying beer about mythology, pyromania and forgetfulness. Houndmouth … NABC collaborated with Houndmouth to create the band’s namesake ale, hoppier than wheat should be, subtle and complex, and session-strength. Let the good times roll, and the circle be unbroken. Tunnel Vision … those hardy immigrant gnomes who came from the venerable hills of the Ardennes to take up residence beneath the mysterious Knobs of Southern Indiana subsist on this. May 10th, 5:00pm - Meet the brewer night with Nathan from Taxman Brewing! Don Quixote's nightmare in a bottle: dreamy Moulins d'Ascq Ambrée, a certified organic Flemish pale ale. Punny and now portable: New Day Meadery's ciders in bottles! Friday, May 2nd, 8:00pm-10:00pm: Live music by Gypsy Moonshine, an Indianapolis-based indie rock band fronted by Katie Josway and Nick Faulhaber. Saturday, May 3rd - 10:00pm-midnight: Halo Tournament - Get your thumbs ready - the best Halo player gets themselves a $10 gift card and bragging rights until next month. Every Saturday night at 10pm gamers can rejoice - we'll play Mariokart, Wii Bowling, Halo, and more! Stop by and show your stuff! Be on the lookout for Killewhitte a collaborative brew between Against the Grain from Louisville, KY and 18th Street Brewery from Gary, IN. Killewhitte is a 4.5% hoppy witbier brewed with citrus zest, orange wood and coriander smoked malt, and hopped with generous amounts of mosaic and amarillo hops. The beer will be bottled at 18th St. & and Draft will be coming into the state via AtG. 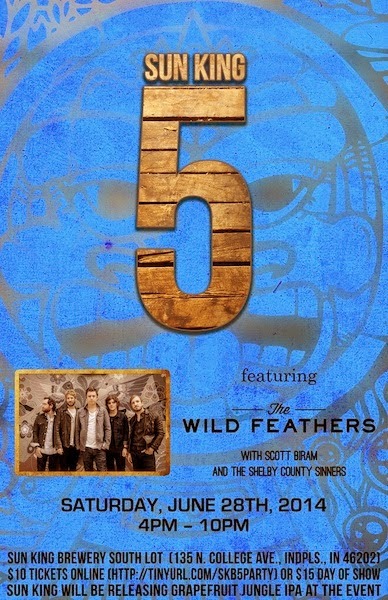 Look for it to be released mid may. I Love You With My Stout – 12% Imperial Stout in the same vain as Even More Jesus & Aun Mas Jesus. Thick, massive, decadent imp stout. Available year round in 4pks and draft. All start times are 5:30PM.